Tables in the Buckeye Lot for a wedding, November 2016. Photo: Julie Pepin. The Tomales Town Hall is a rare find: a 19th-century community building lovingly maintained over the years with a deep respect for its past. 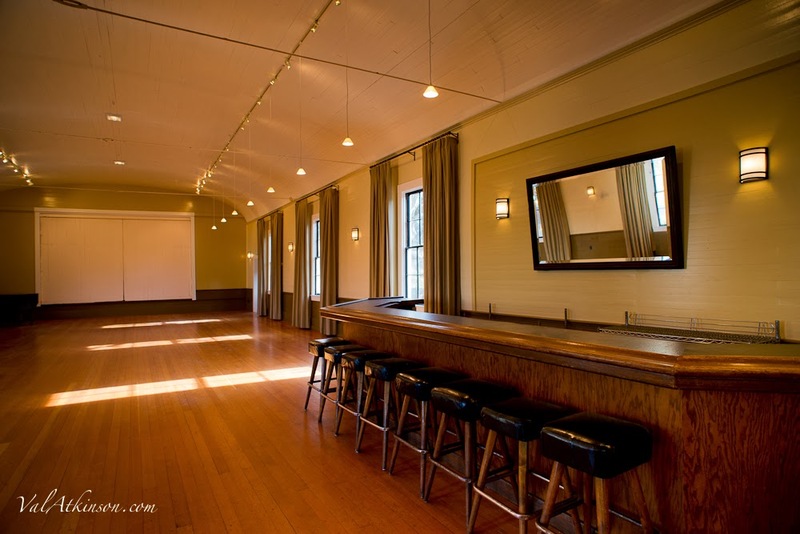 For almost 150 years, the Hall has served the people of Tomales, providing space for occasions of all kinds. From town meetings to once-in-a-lifetime moments, the Hall has been witness to the life of its rural community. As it continues to play a vital role for the town, the Hall is also available as a rental venue. We invite you to experience West Marin village life in this unique space. The Hall is versatile and an authentic setting for weddings and workshops, concerts and classes, social events and seminars. The main hall (capacity 150) has a casual but well-considered aesthetic that includes Doug Fir wood flooring with radiant heat, a stage, a bar, a small anteroom, versatile lighting options, and an abundance of natural light from windows along both the north and south walls. The south side of the hall includes a generous, grassy space, partly shaded by a stately Buckeye tree, available for daytime events. The lower level (capacity 60) is connected to the upstairs hall by an interior staircase, and also has a separate entrance of its own. It includes a utilitarian meeting room and a spacious kitchen. To view plan drawings of the Tomales Town Hall, click on the thumbnails (above). To download PDFs: In some browsers, mouse over the enlarged image. Otherwise use these links: Plan View of Property (PDF); Plan View of Upstairs (PDF); Plan View of Basement Level (PDF). One Grass Two Grass concert from the back of the stage in the main hall, July 2016. Photo: Pete Thoshinsky. Extended Rental: This 48-hour rental is recommended for large afternoon or evening events such as weddings, fundraisers, concerts and quincenearas. Have time from noon the day prior to the event for set up; come back to clean before noon on the day after. Day Rental: Access and use the Hall from 9 AM to 10 PM on a designated day. Half Day Rental: Access and use the Hall for a six-hour time period on a designated weekday. This option is available Monday through Friday only. 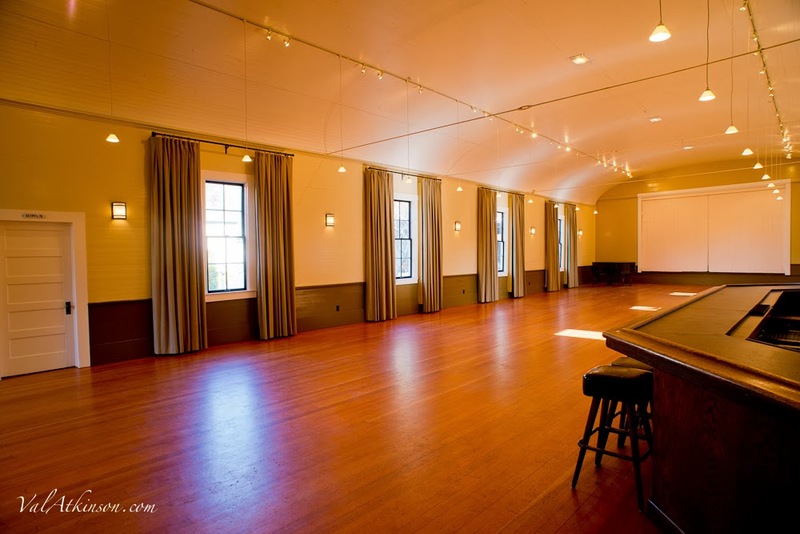 Week Long Rental: Access and use the Hall for seven consecutive days for a seminar or workshop. PLEASE NOTE: All amplified music must end by 10 PM. Please complete the Request a Quote form (below) to help us determine what rental option is best suited to your event. We encourage you to check the Bookings Calendar first for Hall availability. You may also contact us at bookings@tomalestownhall.org or (707) 878-2006 to book the Hall or if you have questions. Thank you! Our bookings manager will get back to you soon. BANNER (top): Main Hall set for a wedding. SLIDESHOW (bottom): Views of Tomales Town Hall. Photos 1-4 & 6-9: Val Atkinson. 5: Photographer Unknown. 10: Laura Trippi. 11: Julie Pepin.